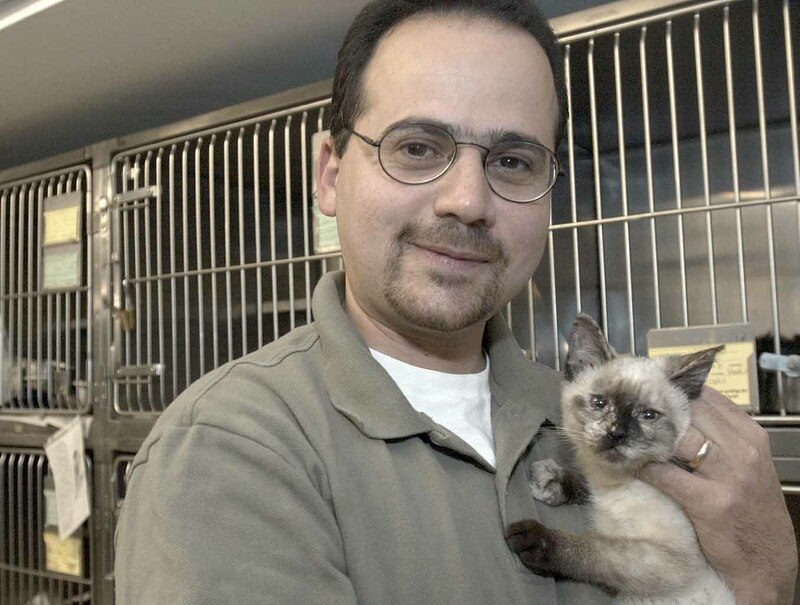 Nathan Winograd, author of Redemption: The Myth of Pet Overpopulation & The No Kill Revolution in America, recently visited Houston on March 28 to conduct a seminar about the No Kill revolution. Nathan sat down with activist Bett Sundermeyer to share his thoughts with Houston PetTalk readers. This in an excerpt of the interview. 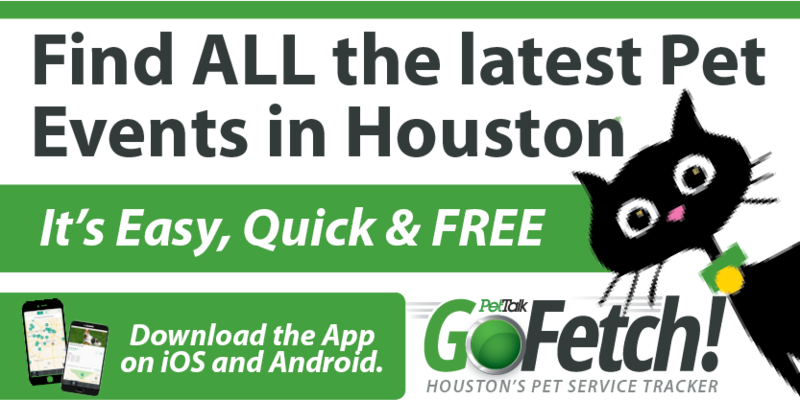 For the full interview, visit www.houstonpettalk.com. Nathan: I am the Director of the national No Kill Advocacy Center. I am a graduate of Stanford Law School, a former criminal prosecutor and attorney and I have held a variety of leadership positions including director of operations for the San Francisco SPCA and executive director of the Tompkins County SPCA, two of the most successful shelters in the nation. Additionally, I speak on the subject of animal sheltering issues both nationally and internationally and I have written animal protection legislation at the state and national level. HPT: Explain your definition of No Kill. Nathan: The No Kill movement seeks to end the killing of savable animals rigorously defined. That means saving roughly 90% of all animals, returning euthanasia to its dictionary definition of “ending the life of hopelessly ill or injured animals for reasons of mercy.” Sadly, it also includes vicious dogs who are an immediate and direct threat to public safety. In the end, it doesn’t matter if they are young or old, cute and cuddly or older, they could be blind, deaf, or even missing a limb. If they are healthy, or sick and injured but medically treatable, they would be guaranteed a loving home. HPT: Where has a no kill movement been successful? How long did it take? Nathan: There are No Kill communities, including No Kill animal control shelters, in Reno, NV, Tompkins County, NY, Charlottesville, VA, and communities in North Carolina, Kansas, Colorado, and elsewhere. Some of these communities are in the North, some in the South, some in urban areas, some in rural areas, some in what we classify as “blue” states or liberal areas, and some are in “red” states—at least one is in the reddest part of the reddest state. This communities share nothing in common demographically. What they do share is animal leadership committed to No Kill and working diligently to achieve it. And what they prove is that despite all the differences which separate us as Americans, when it comes to saving dogs and cats, people of all walks of life want to build a better world for animals. Several of these communities are more than doubling adoptions and cutting killing by as much as 75 percent—and it isn’t taking them five years or more to do it. They are doing it virtually overnight. In Reno, Nevada, for example, the Nevada Humane Society and Washoe County Animal Services have led an incredible renaissance in lifesaving that saw adoptions increase as much as 80 percent and deaths decline by 51 percent. This success occurred immediately after the hiring of a new shelter director committed to No Kill and passionate about saving lives. In addition to the speed with which it was attained, what also makes Reno’s success so impressive is that the community takes in over two times the number of animals per capita than the national average, over three times the rate of Los Angeles, and over four times the rate of San Francisco. So if “pet overpopulation” were really a problem, it would be a problem in Reno. But with an overall rate of lifesaving of roughly 90 percent, they are proving that shelters can quickly save the vast majority of animals once they commit to do so, even in the face of public irresponsibility or economic crisis. HPT: No Kill is considered controversial by some..why is that? Nathan: Anything that challenges the status quo is going to be painted as controversial by those whose leadership positions are being threatened. The No Kill movement is no different in this regard than any other social movement. By deflecting criticism, leadership in the humane movement has attempted to paint No Kill in a negative light. In my mind, this goes beyond the bounds of legitimate debate. Time after time, we find motives questioned, data distorted, and success dismissed through misleading statements. In the process, they are undermining the hard work of thousands of animal lovers in every city. HPT: With the knowledge you have of Houston, what basic steps do we need to take to begin moving toward a no kill city? How far away are we at this point? What can the community do to progress the issue? 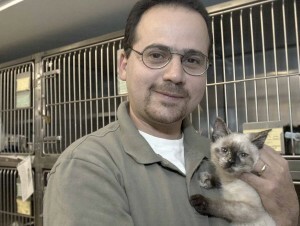 Nathan: Houston’s shelters do a very poor job at adopting animals. This is the one area where community shelters can make tremendous progress in a very short period of time. The quantity and quality of shelter adoptions is actually a direct function of shelter policies and practice. In addition, if an employee cuts corners and does not clean and sanitize water bowls daily leading to a parvovirus outbreak, or an employee does not scrub cat cages leading to spread of panleukopenia, large numbers of animals will be needlessly killed. If a shelter does not maintain adequate adoption hours, if the public finds it difficult to reach the shelter on the telephone, if customer service is poor, a volunteer program is not in place, or if a community is underfunding its shelter, lifesaving will also be compromised. Contrary to what many shelters believe are the primary hurdles (e.g., public irresponsibility), therefore, the biggest impediments to lifesaving are directly in shelter management’s hands. Effectiveness in shelter goals and operations begins with staff accountability, effective programs, and good relations with the community. But too many Houston shelters are not accepting that responsibility. And what is worse, these shelters are doing what they are doing in our name: they are doing it with our taxes, with our donations, as agencies representing us, and they are even blaming us (and our neighbors) for doing it by claiming they have no choice because of the public’s irresponsibility. And although we are picking up the tab, we are not paying the ultimate price. That is being paid by the animals who are unfortunate enough to enter U.S. shelters and lose their lives as a result. Since this killing does not reflect our values, Houstonians should demand with their wallets, with their votes, and with their public advocacy that they embrace not just the No Kill philosophy, but the programs which make it possible. HPT: What are the biggest misconceptions about no kill? Nathan: The biggest misconception is that it takes years to achieve. Current estimates from a wide range of groups indicate that roughly four million dogs and cats are killed in shelters every year. Of these, given data on the incidence of aggression in dogs (based on dog bite extrapolation) and save rates at the best performing shelters in the country from diverse regions and demographics, about 90 percent of all shelter animals are “savable.” The remainder consists of hopelessly ill or injured animals and vicious dogs whose prognosis for rehabilitation is poor or grave. That would put the number of savable dogs and cats at roughly 3.6 million. And that means that we only need to increase the market for shelter pets by three percent in order to eliminate killing. Today, there are about 165 million dogs and cats in homes. Of those, about 20 percent come from shelters. Three percent of 165 million equates to 4.9 million, more than all the savable animals being killed in shelters. This is a combination of what statisticians call “stock” and “flow.” In layman’s terms, some of the market will be replacement life (someone has a dog or cat die or run away and they want another one), some of that will be expanding markets (someone doesn’t have a dog or cat but wants one, or they have dogs or cats but want another one). But it all comes down to increasing where people get their dogs or cats from. These same demographics also tell us that every year about twice as many people are looking to bring a new dog into their home than the total number of dogs entering shelters, and every year more people are looking to bring a new cat into their home than the total number of cats entering shelters. On top of that, not all animals entering shelters need adoption: Some will be lost strays that will be reclaimed by their family (shelters which are comprehensive in their lost pet reclaim efforts, for example, have demonstrated that as many as two-thirds of stray dogs can be reunited with their families). Others are unsocialized feral cats that need neuter and release. Some will be vicious dogs or are irremediably suffering and will be killed. In the end, a shelter only needs to find new homes for roughly half of all incoming animals. I am not saying that people aren’t irresponsible with animals. It doesn’t mean there aren’t a lot of animals entering shelters. It doesn’t mean it wouldn’t be better if there were fewer of them being impounded. Nor am I saying shelters don’t have institutional obstacles to success. But it does mean that these problems are not insurmountable. And it does mean we can do something other than killing for all savable animals right now, today: if all shelter directors cultivate the desire and will to do so, and then earnestly follow through. That is good news. It is news we should celebrate. And it should be the focal point with which we target our advocacy efforts to achieve the greatest declines in killing possible in the shortest amount of time. This man is so dead on right. I wish I could get all those in control to read his book. It explains so much. I am trying to get his info to city council in my small town. We have a terrible animal control yard, with about 98% kill rate. I thank God for Nathan Winogard. May God bless him. There are no sucess stories for No Kill, it is a lie and perhaps, depending on your defination, a hoax. Reno is not No Kill, even though their current AC directer seems to have forgotten who signs his paycheck. He is running at full capacity with staffing levels for 75% capacity. His officers have to leave dogs in the field because they have been stripped of the right to make an impound decision. The number of dog attacks are up, but under reported. Calls for service are up, intake is down. Nothing to be confused about there. They turn animals away that are irretriveblly suffering, all to keep the numbers looking good. Ask them about a Mr. Santos who had to leave Washoe County Regional Animal Services grounds, that includes the Nevada Humane Society who is the public intake facility, and take his 11 year old cancer ridden pitbull to a private vet for euthanasia. Since Mr. Santos was temporarily homeless due to foreclose he had to sell his personal possessions to do this. He had spent the last of his living money to get the dog diagnosed at a private vet, but lacked funding to have the vet put the old sick pitbull down.. The dog had serious aggrssion issues and had been kept under control by Mr. Santos for years, and yet the Nevada Humane Society and the WCRAS demanded the right to “adopt out” this suffering animal.. A local animal welfare group up there was contacted by an employee of the veterinarn and has taken up the cudgel.